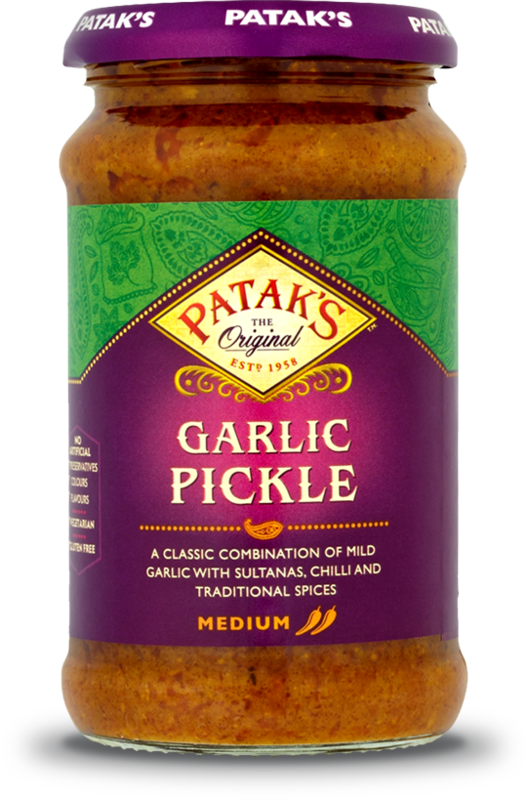 A classic combination of mild garlic with sultanas, chilli and traditional spices. This product may contain peanuts and nuts. For allergens, see ingredients in BOLD. Water, Garlic Cloves (20%), Rapeseed Oil, Sugar, Ground Spices (6%) [Cumin, Turmeric, Spices], Salt, Sultanas (3.5%), Dates, Dried Onion, Garlic Purée (2%), Acids (Acetic Acid, Lactic Acid), MUSTARD Powder, Green Chillies (1%), Ginger Purée. Dal Ki Kachori’s might not look like much, but they are mouth-wateringly good. Trust us, one is never enough These fried dumplings are stuffed with lentils and spiced with coriander, paprika and ginger from our Mild Curry Paste. A popular North Indian savoury breakfast dish full of taste and flavour.